Out of stock. Please contact store for availability. Let pilot Tris Miles lift you up, and fly you to new heights in this inspiring story of love, ambition, overcoming obstacles, and the true meaning of success. It's 1997. Women stand beside men in combat and fly fighter jets. 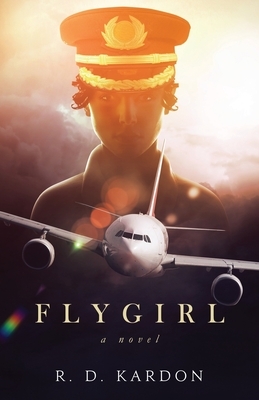 Pilot Tris Miles is not content with her job as a First Officer for tiny Clear Sky Airlines. She wants to be a Captain--the only way she knows to prove her worth as a pilot and atone for a deadly mistake. To further her career, Tris accepts a prestigious job with Tetrix, Inc. But her dream of becoming pilot-in-command twists into a nightmare. As the company's first woman pilot, she encounters resistance, marginalization, and harassment on a daily basis. Fortunately, Tris has one thing her co-workers can't deny--skill. When Tris finds herself in a crippled airplane thousands of miles from home she must prove she can lead. With her career on the line, can Tris earn the respect she's been craving? And if this is the end, can she find the strength to forgive herself?